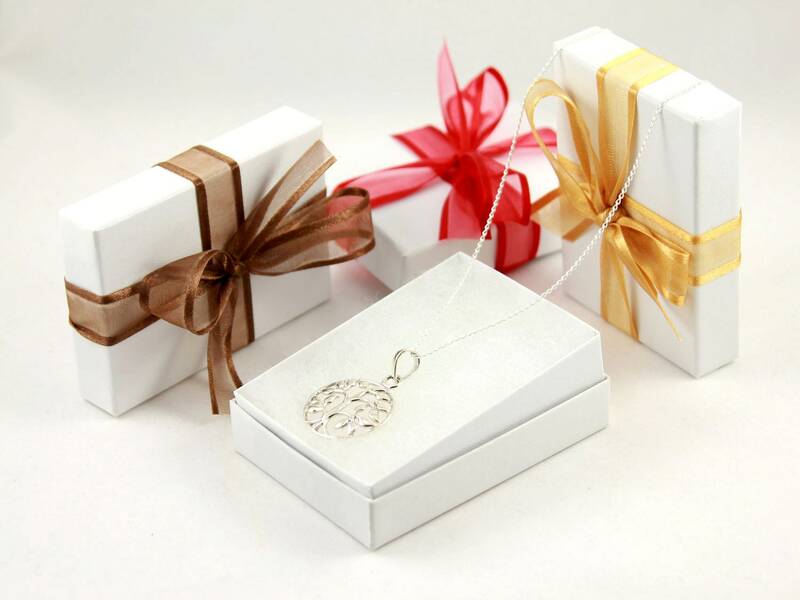 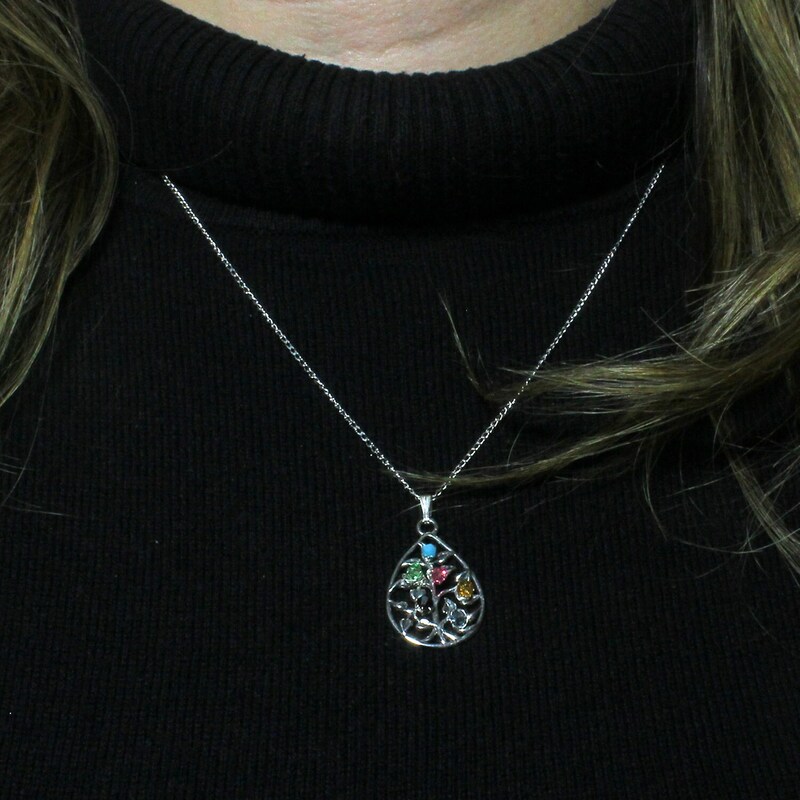 This gorgeous necklace features sterling silver teardrop pendant with a tree of life inside, hanging from diamond-cut long curb quality chain. 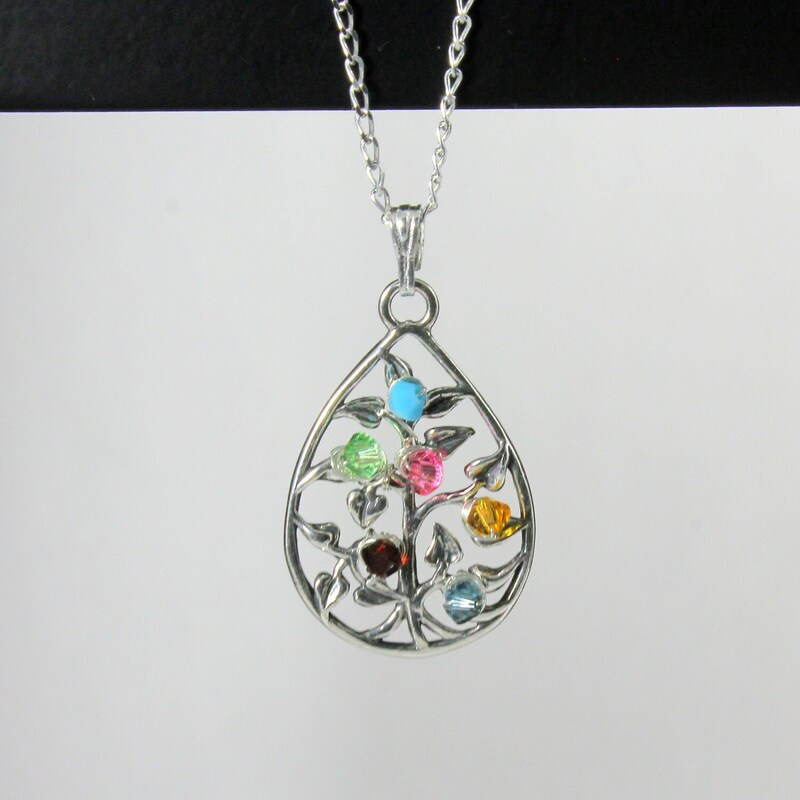 This tree of life pendant measures 30 x 18mm. 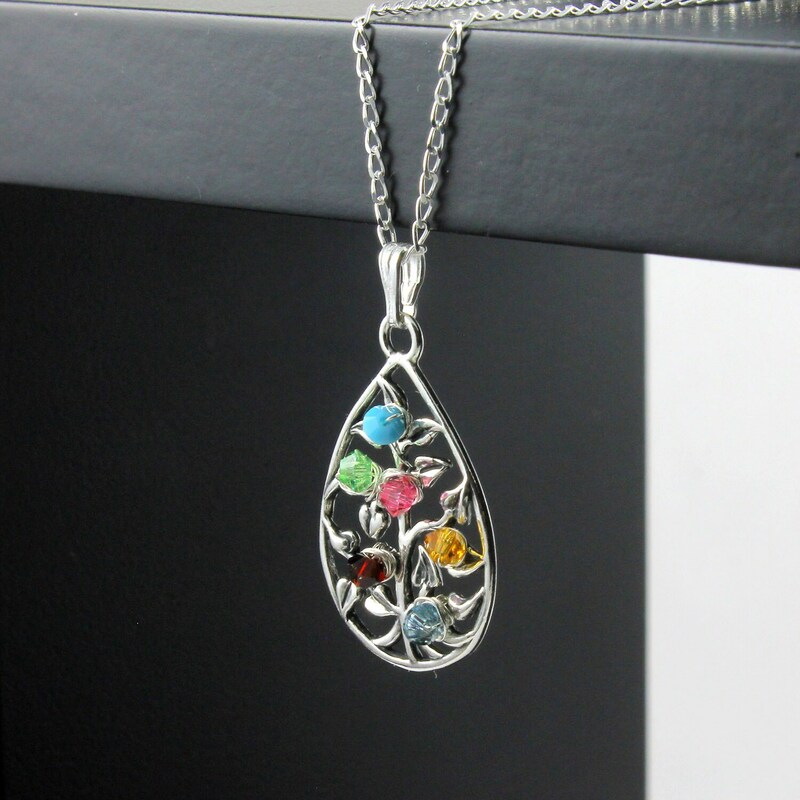 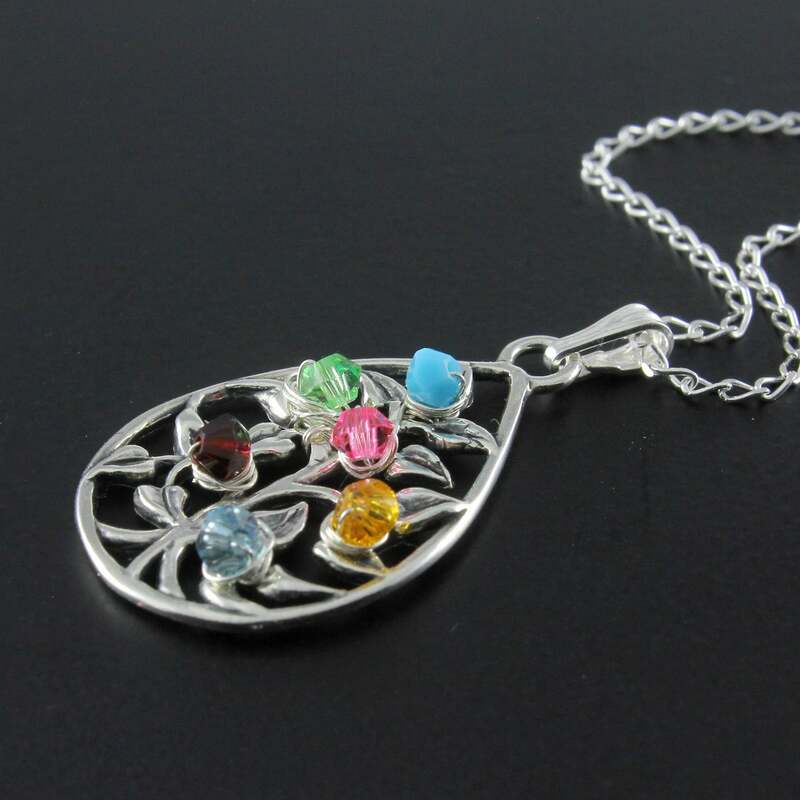 The birthstones on it are around 2-3 mm.